Not many players can be credited with creating a position on the field and revolutionizing the way the game is played. 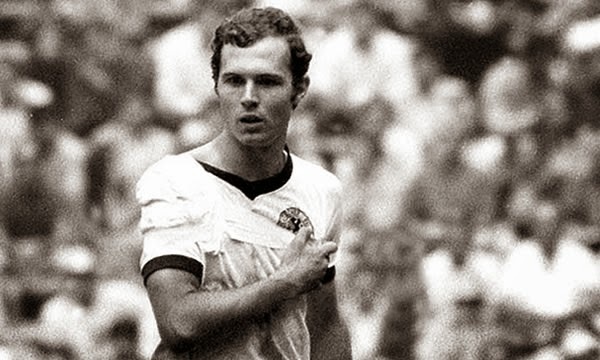 Franz Beckenbauer or "Der Kaiser", as he was known, is such a man. He is credited with invented the sweeper or libero position and becoming one of the world greatest defensive attacking minded players, and changing the way defenders approach the game. The Kaiser was a superstar in world football, he reached 103 caps for West Germany and scored 14 goals. During that time he won the European Player of The Year award twice. He was a member of the World Cup West German squads that finished second place in 1966, third place in 1970 and champions in 1974, while being voted to the tournament All-Star team in all three editions. His World Cup debut came in 1966 in England, where he played every match for West Germany. His first match of that tournament was against Switzerland and he scored 2 goals in a 5-0 victory. In the semi-finals they faced the USSR and he scored the second goal for West Germany in a 2-1 win. They were in the final against the host nation, which they would end up losing 4-2 in added time. The Kaiser finished the tournament in third in scoring with 4 goals, not bad for a non attacking player, and introduced himself to the world. In Mexico 1970 World Cup, West Germany won their first three matches of the group stages setting up a rematch against England in the second round. 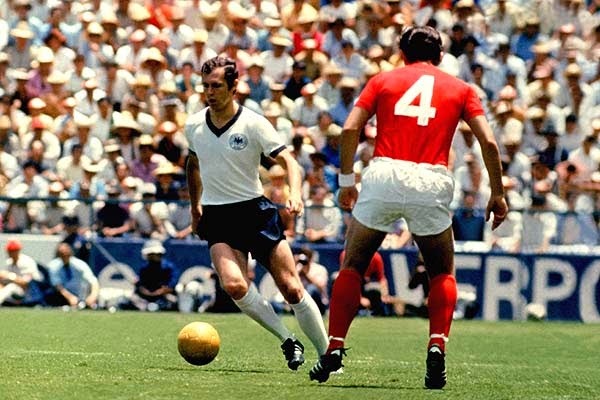 England was up 2-0 but a goal from Beckenbauer in the 69th minute was the spark that his team needed to tie the match and eventually win it in extra time. 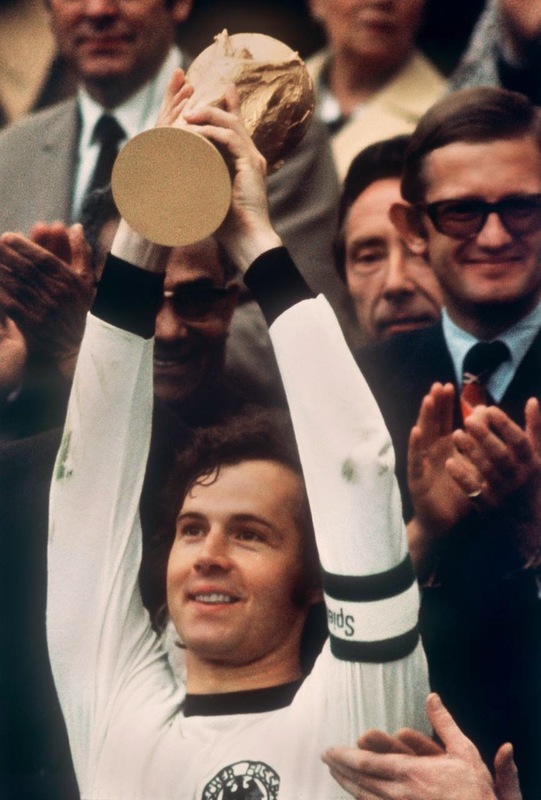 It would be the semi-final game against Italy that would re-enforce the legend/hero status for Beckenbauer. 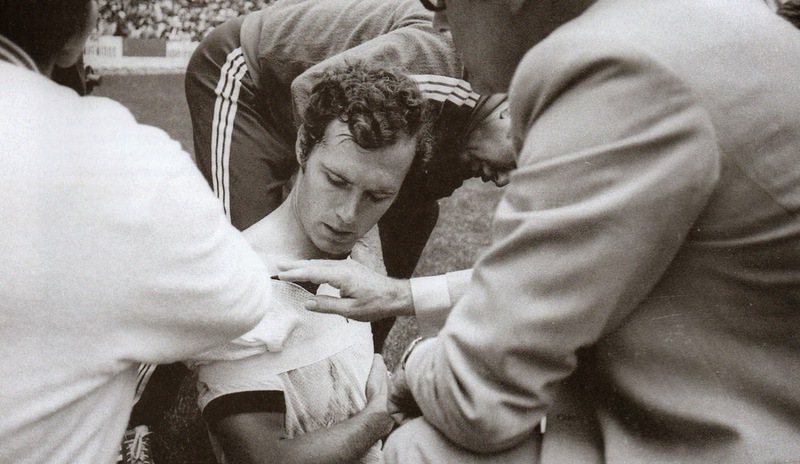 The match was dubbed the game of the century, and it was a heroic performance by Beckenbauer that fractured his clavicle and refused to leave the game at a time when his team add already used both allowed subs. He played the rest of the match with his arm in a sling. Italy would win the match 4-3 in extra time, and Germany would end up defeating Uruguay 1-0 in the Third place match. The 1974 World Cup was hosted by West Germany, in what would be his final tournament. He was at his prime, and he put his country on his shoulders and carried them to victory in his final World Cup game. The most memorable game of this tournament was the final against the Netherlands of Johan Cruyff, that Germany won 2-1. His defensive play in that game is the main reason why the Netherlands weren't able to play their famous "Total Football" and why Cruyff was unable to shine as he had done up until that point of the tournament. He is only one of two players in the World to have finished 3rd, 2nd and 1st at the World Cup. An amazing task by an amazing World Cup Hero.